Of all the problems that might impact you as a homeowner, electrical issues are arguably the most dangerous. Sure, a plumbing problem can cause a lot of water damage and an air conditioner on the fritz can leave you uncomfortable. But an electrical issue can cause electrocution and house fires. For this reason alone, we highly recommend having your home inspected by professional Waterloo electricians once every few years. Otherwise, you are at a higher risk of an electrical emergency happening. Even with routine maintenance sessions, however, there’s always a chance that an electrical problem can occur. We recommend knowing the telltale signs of an electrical issue, so you can contact an electrician as soon as possible. When you think about the landscaping of your home, what comes to mind? If you’re like the average homeowner, the types of flowers and trees you’ll plant, and whether you’ll go with grass, or some type of wood chip or rock ground foundation is probably also a consideration. But, what about your lighting? 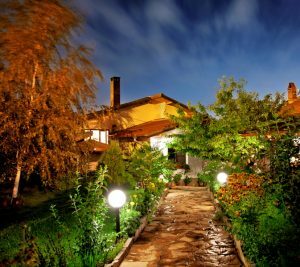 Outdoor lighting is not something many people think about too much when moving into a new home or planning to redo their landscaping in an existing home, but it should be! There are a number of ways in which outdoor lighting, professionally installed by a Waterloo, IA electrician, can improve your home’s landscaping, making it both visually appealing and functional. Is your home as safe and secure as possible? Sure, you keep the front door locked, you have a basic security system, and maybe you even have a dog whose bark you hope will scare burglars away quick enough that they discover the dog really just wants to lick them to death. These are all great first steps (though we really don’t recommend relying on the family dog), however to truly protect your home, it’s vital that you have an effective whole-home security system professionally installed by trained and experienced Cedar Falls, IA electricians. This will give you protection as well as a peace of mind whether you are away from home or your family is soundly sleeping. In addition to this installation, there are a number of things you can do around the house to limit your risks of being burglarized even more. We’ve shared some of the biggest home security mistakes below, to help provide some guidance on how to do just that. Posted in Electricity | Comments Off on Are You Making Any of These Home Security Mistakes? Surge Protection Is Not Just Storm Protection! 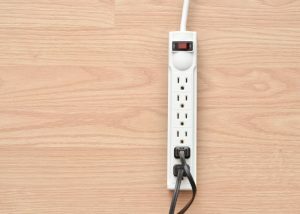 There are a good deal of homeowners who believe they can go without whole-house surge protection, or don’t even think about it at all. If you’re one of those homeowners, we urge you to read on and learn about why this is so important. Within the last couple of decades, we have all become more and more dependent on electronic devices and high efficiency appliances. When you couple this with inclement weather—particularly thunderstorms—the risk of power surges increase. But surge protection is not just storm protection! Surges pose a serious threat to your appliances, electronics, and your home in general, even when it’s not storming outside. And you might think that you can just get by with a small, portable surge protector you can buy at the hardware store (a power strip), but this doesn’t give you comprehensive protection—not the kind of protection that a professional Waterloo, IA electrician can give. Posted in Electricity | Comments Off on Surge Protection Is Not Just Storm Protection! Have you ever been away from home for an extended period of time, or even just at work for the day, and thought to yourself, “I’d really like to check in on my house”? We’ve all been there. 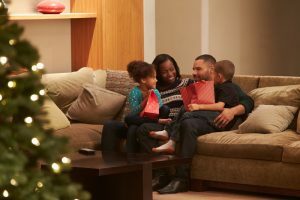 At some time or another, you’ve likely wondered if you left the lights on unintentionally, kept your HVAC system going for too long, or even forgot to lock your front door. The good news is, there is a way to have access to your home at all times, no matter how far away from it you are. With a home automation system, professionally installed by an experienced Waterloo, IA electrician, you can check in on whatever is important to you in your home, from work or across the country. Choosing a pro for the job will ensure a job done right, and will help you reap the full benefits of home automation! 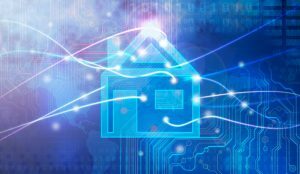 Across the country, homeowners are placing higher demands on their homes’ electrical systems than ever before. We’re adding high-efficiency electrical appliances such as HVAC system, hooking up new devices, and purchasing extra equipment for our existing electronics. 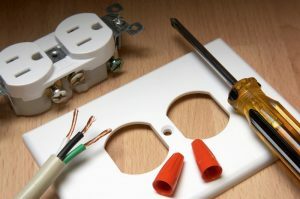 There are a number of Waterloo, IA electrical services you can invest in, including upgrades. In addition to ensuring that your electrical system can handle the demand you’re placing on it, it’s only natural that you’d also like to know how you can maintain or improve the visual appeal of your home while also making functional electrical additions. We have a few suggestions of how to do so. 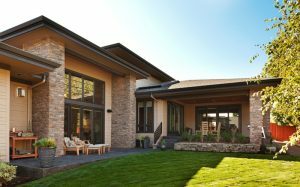 With springtime here and the subsequent warmer weather following, many homeowners are considering renovation and remodeling projects for 2017. There are many household projects that make great “do-it-yourself” endeavors, however, we of course highly recommend against this if any electrical work is involved. One of the biggest home construction hazards that homeowners face is electrical accidents or problems. 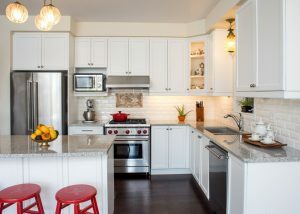 Before you start your home remodel or renovation project, it’s essential that you review the safety precautions you should take, and understand the important electrical considerations to be made before and during the project. And when it comes to handling the electrical aspect of the job, contact the Waverly, IA electrical service experts on our team.